Both the new 11-inch MacBook Air and 13-inch MacBook Air, which Apple introduced in October, have received positive reviews. Both the laptops are being called the perfect balance of performance, portability and design for everyday use. The 11-inch MacBook Air model is the lightest laptop available on market and the 13-inch model isn’t far behind, as it’s one of the lightest 13-inch laptop on the market. And now consumer advocacy group, Consumer Reports has also chimed in by calling both the laptops best in their respective classes. Microsoft’s Windows Phone 7 was officially launched last Monday in US and reports are that Microsoft is spending about $500 million in advertisements for the launch. However, if initial sales are any indication those dollars are currently going to waste. 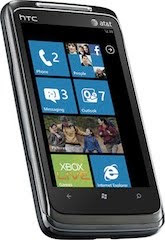 Analysts are estimating about 40,000 Windows Phone 7 handsets were sold on the launch day and the demand hasn’t picked up after that. 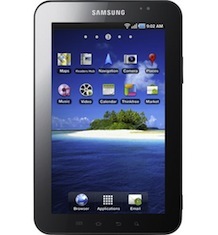 Samsung introduced their first Android based tablet, Samsung Galaxy Tab last month. The new tablet is shipping in Europe and will ship this month is US. Galaxy Tab comes with 7-inch (1024 x 600) touchscreen, 1GHz Hummingbird processor, 16GB onboard storage, dual cameras (1.3-megapixel front and 3-megapixel back), WiFi, Bluetooth, 3G network support and microSD card slot. It measures 7.4” x 4.7” x 0.47” and weighs 0.8 pounds with battery life of up to 7 hours. The Galaxy Tab is available through various major carriers with price ranging from $599 to $899 depending on contract you signup. 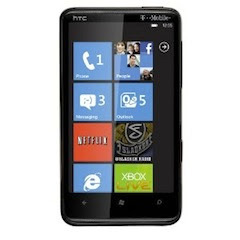 HTC HD7 is the first Windows Phone 7 available on T-Mobile in US. The phone comes with 4.3-inch (480 x 800) touchscreen, 5-megapixel camera, 1GHz processor, 16GB storage, WiFi, Bluetooth and A-GPS. It measures 4.8” x 2.68” x 0.44” and weighs 5.71 ounces, offering up to 5.33 hours of battery life with 320 hours standby. The Phone is available for $199 with two-year contract on T-Mobile, but can be bought on Amazon for just $149 with contract. 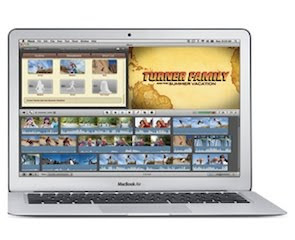 Along with introduction of the new 11-inch MacBook Air, Apple also updated the 13-inch MacBook Air last month. Like the 11-inch model, the new 13-inch also got solid state flash storage, higher resolution (1440 x 900) screen, faster NVIDIA GeForce 320M graphics and thinner profile (0.11-inches at its thinnest and 0.68-inches at its thickest). Additionally, the 13-inch model also brings SD card slot and faster processor. 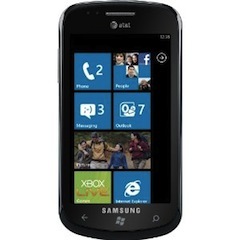 Samsung Focus is the second Windows Phone 7 handset that starting shipping today on AT&T. The Phone features 4-inch Super-AMOLED screen, 5-megapixel camera, 1GHz processor, 8GB onboard storage, WiFi, Bluetooth, GPS and microSD card slot. The phone weighs 4.07 ounces and measures 4.84” x 2.56” x 0.39”. It offers 6.5 hours of talk time and 10.4 days of standby time. Samsung Focus is available on AT&T priced $199.99 with two year contract. 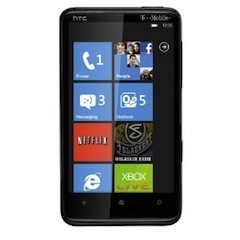 HTC Surround in one of the first Windows Phone 7 handset shipping in US on AT&T. The phone features a 3.8-inch touchscreen, 5-megapixel camera, 1GHz Snapdragon processor, slide-out speaker, 16GB onboard storage, WiFi b/g, Bluetooth and GPS. The phone measures 4.2” x 2.4” x 0.5” and weighs 5.8 ounces with up to 4 hours of talk time and 11 days standby. HTC Surround is available on AT&T priced $199 with two-year contract and can be bought on Amazon for $99.99 with contract.